Offer your customers competitive and consistent pricing, instant execution and consistent market liquidity. Your customers will experience a level of anonymity not available to currency traders when directly dealing with a correspondent bank. 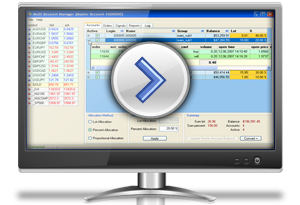 Asset managers at Tradeview Forex enjoy the luxury of working with our world class Multi Account Manager (MAM) Software. Our MAM software differs from the traditional MT4 PAMM setup in a number of ways. MT4 PAMM (Percent Allocation Management Module) software generally requires the trader to manually input individual client user names and passwords into the software. When trading a large number of accounts this can be a hassle especially if you are using multiple trading terminals. The MAM software is server based. This means that all client accounts are automatically available for trading where ever the trader is on a given day.  MT4 PAMM software is a local program and is tied to the speed and consistency of your computer. Our MAM software is based on our trading servers which means if we are available to trade the MAM is ready for you to use. Our Multi Account Manager Software is provided by MetaFX and offers professional traders of multiple accounts and asset managers with an ideal solution for managing multiple MetaTrader 4 accounts at the same time. 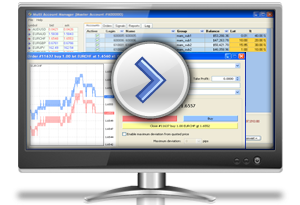 The Tradeview MAM software is an extremely flexible solutions that gives traders a user friendly system to use alongside the traditional MetaTrader 4 platform. Unlimited number of accounts can be traded simultaneously. 3 allocation methods – Lot, Percentage, Proportional. Analyze the market with live dynamic charts, from live tick rates to 1 Day candlesticks. When you are ready, trade right from the charts. Trades – Full, Mini & Micro Lot accounts for best allocation advantage. Partial close of orders by Master account execution. Full SL, TP & Pending order functionality. Allows for Expert Advisor (EA) trading of managed accounts by client. Market Watch window within MAM. Live order management from within MAM.